Skateboarding has become mainstream enough that modern skaters wear just about every clothing style. That being said, there are a few different looks that are typically associated with skater culture. To dress like a stereotypical skater, try one of the following looks. Choose comfort. Being able to perform tricks means wearing practical, non-restrictive clothes that don’t need to remain in pristine condition. Expect twisting, tearing, fading, and possibly even blood. Wear flexible, flat-soled shoes with excellent grip. These will help keep you on the board. For additional authenticity, choose skater shoes are specifically manufactured for skateboarding (ex. some have extra stitching to increase their lifespan). Some good brands are éS, DVS, Fallen, Supra, Vans, Circa, DC, Emerica's, Converse, Adio, Etnies and Lakai. To fake the skater look, rip your shoes around the toes; if you're a true skater, however, they'll be ripped in no time. Keep in mind, however, that real skaters hate it when their shoes get torn up because rips are the cause of the end of their shoes' life. Think twice before ruining your shoes on purpose. Know the classic skater brands. Element, Baker, Analog, Quicksilver, Volcom,Vans and Billabong are a few classic examples. You might also try some snowboarding brands like Burton because a lot of skaters snowboard. Keep it casual. Don’t spend a lot of money on shiny new accessories and brand-name items when an old t-shirt and a faded pair of jeans will get the job done. Remember, not trying too hard is a critical element of skater culture. Be sure not to wear skating-brand gear all the time – wear casual clothing as well. Striped shirts, t-shirts, hoodies, and logo/name-brand shirts work. Wear hoodies or a snowboarding hat over your head but don't cover the front of your hair, let it stick out. Wear aggressively themed tees. 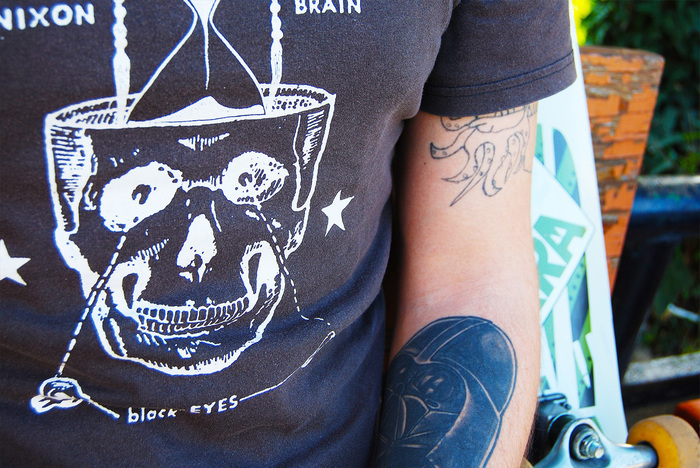 Stark colors like red and black and violent images like skulls and blood are classic skate-punk wear. Punk band tees are especially appropriate for this look.Also wearing a black tee a cutting the sleeves down to you're hips is popular. 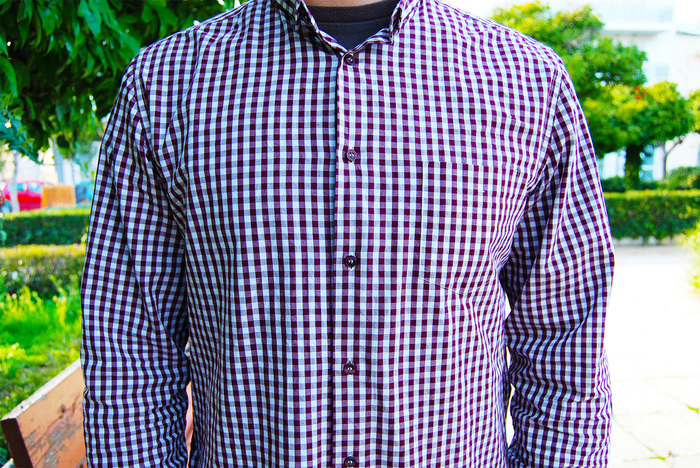 Wear button-down checkered/flannel/gingham shirts. Especially with short sleeves, these are a great everyday alternative to band and logo tees. Wear either very loose- or very tight-fitting dark jeans. Modern punk skaters tend to wear tight jeans, but this hasn’t always been the case. Choose whichever is more comfortable for you; if you opt for tight jeans, make sure they have some elasticity in the fabric so that you can still do tricks. Wear baggy, knee-length shorts. Khaki shorts are a favorite. Avoid jewelry. This is more the domain of hip-hop skaters. Wear DGK, Zoo York, Phat Farm, City Stars, Dunks, LRG, and/or South pole. The hip-hop skater style emphasizes brand names a little more than the others, which is why you may also want to choose DCs or Nike SBs instead of other skater shoes. Wear low, baggy pants. Be careful not to wear them too low when doing difficult tricks. Wear a baseball cap, especially under a hoodie. Sports caps are perfect for this, but New Era skater caps (ex. 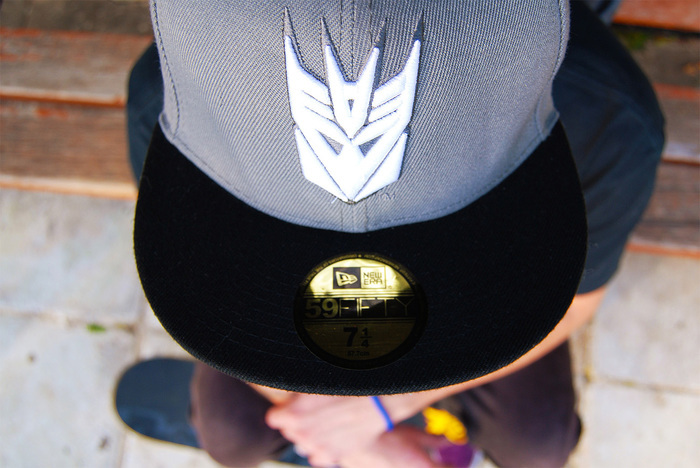 flat-brimmed 59Fifty hats) also work. Wear bling. Rings or a long, thick chain will do if you want to keep it simple, headphones/ipod ect. Wear eco-friendly clothing. Hemp and organic cotton are big in rasta fashion. 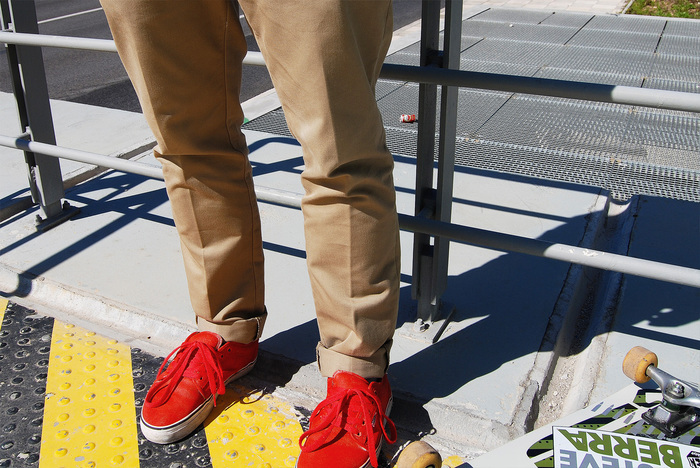 For example, choose thick, eco-friendly canvas pants instead of denim jeans. Wear earth colors. Tan, green, brown, and all khaki colors are preferred. Accentuate with green, yellow, and red. These are the colors of the Ethiopian flag and are very important to the rasta movement. 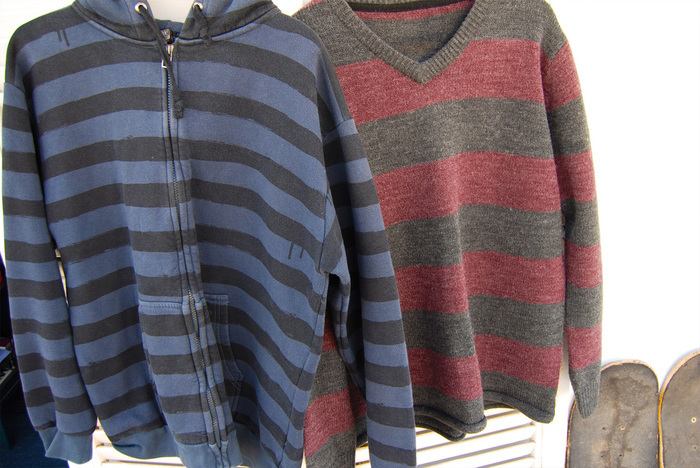 You can also accentuate these colors with black. Having scraped elbows and knees and a ripped pair of jeans might look cool, but don't scrape your elbows and rip your jeans on purpose or you’ll come off like a poser. Instead, think of it as something you earn in a bad fall. Research skateboarding brands on the internet and of some skaters, as it can lead you to discovering companies you've never heard of that have some great products. Look in skate magazines to notice what other skateboarders wear when skating. You could also go for the true skater look and slap on a shoestring. 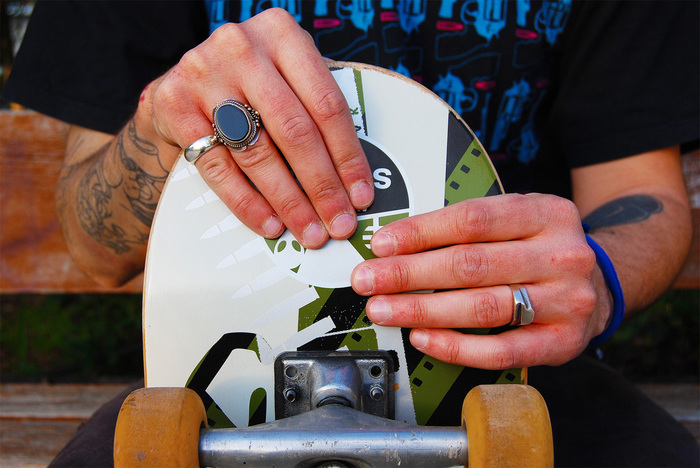 Shoestrings are great for skaters because they have no buckle to get in your way while setting up for tricks, or slamming against your stomach on big lands. Keep your hair long or short. Whatever is comfortable for you works. Long shaggy hair isn't necessarily the sign of a skater and can actually make you look like a surfer. When you get a cold, consider a handkerchief, because while you're out skating, they are so much more convenient than tissues. If you do want to dress like a skater, make sure you don't look like a clone. It's not cool and you'll end up looking like a wannabe. Don't be afraid to stand out; it's not like looking like everyone else will make you a better skater. Avoid Wal-Mart brands like Sketchers and Starter. 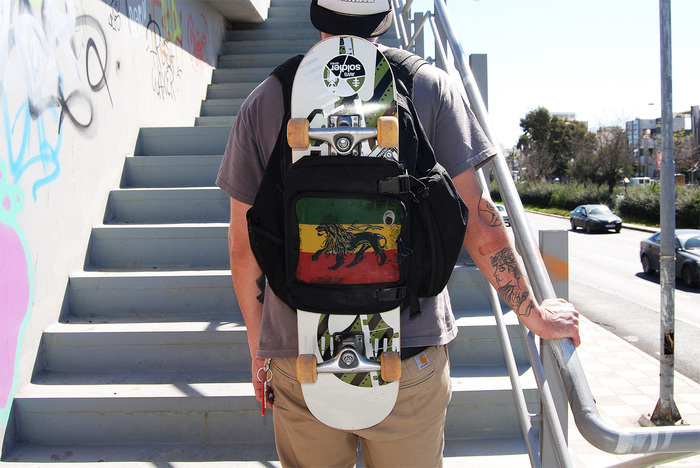 Avoid carrying your board everywhere you go. Walking around your school while holding a board doesn't make you a skater. You don't have to buy jeans from skating brands as they're pretty pricey. 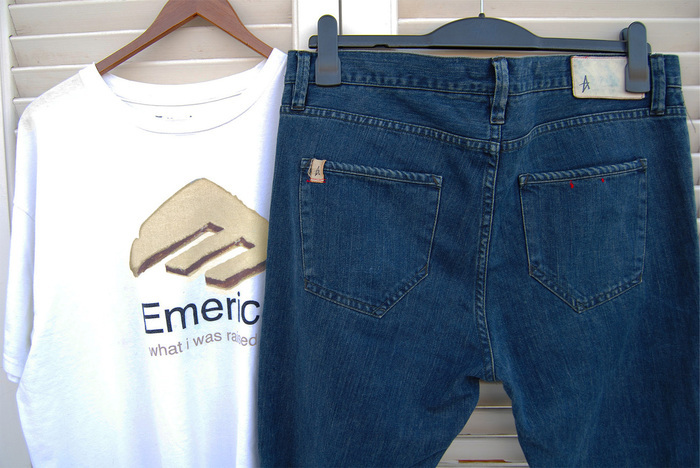 A lot of skaters wear Levi's, Lee, and Wrangler jeans, but don't overdo it in the Wrangler and Lee jeans. Your going for skater, not cowboy.